Oakhurst Neighborhood Association, Fort Worth, Texas: 10th Annual Oakhurst Collective Garage Sale: Sign Up Today! 10th Annual Oakhurst Collective Garage Sale: Sign Up Today! Print out and return the registration form by Monday, May 19th. 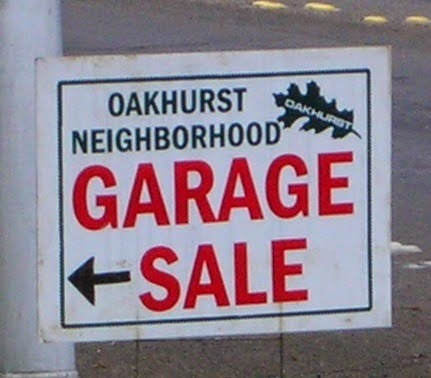 This Weekend: Oakhurst's Garage Sale!